Several months ago, we shared a 2 part series regarding How Color Makes You Feel. Now we would like to share what brand colors say about your business. As we all know branding is crucial for your business and how customers/clients recognize you. Did you know that color is the most noticed and remembered part of your business? It is important to have a matching color scheme across the board, from your logo, website, business cards and more. Here at Creative Printing we have a wonderful graphics department that will help you develop your brand and have a matching scheme from online to print. Contact us for more information. Feel free to comment below to share how your brand color has helped your business. We are very excited to be Celebrating 30 Years!!! Creative Printing of Bay County. 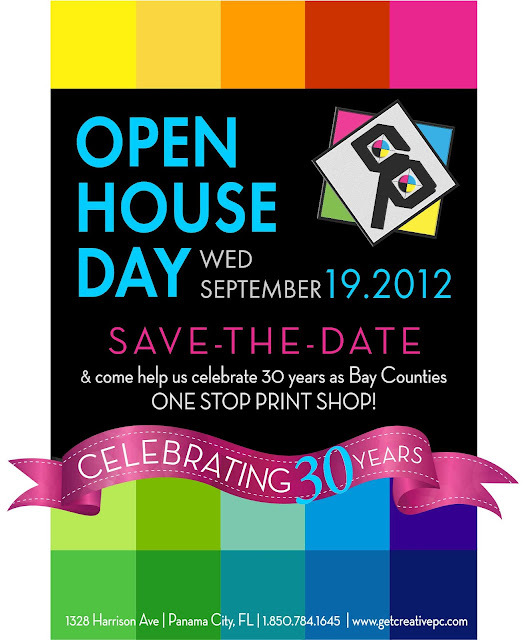 Save the Date Wednesday, September 19th! Although it is our recommendation to seek a professional graphic artist like ours here at Creative Printing we understand the desire to save money on set-up cost. Below you will find some tips to help you insure your files are production ready.